Why Use Telemedicine on Medicare? 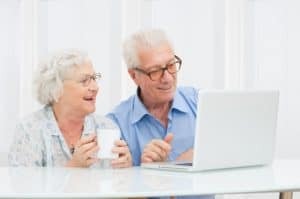 In this article we'll take a look at why you might want to consider using telemedicine services, even if you are on Medicare. You might not have thought about it because you have a Medigap Insurance Plan F that covers you at 100% when you see a doctor. Or you might have a Medicare Advantage Plan that also allows you to see a doctor for a small or no copay. So why would you even want to take a look at Telehealth offerings? In my opinion, for most of us it's not really a matter of “need”. It's really a matter of convenience. But for some who live in rural areas or who just can't make it to the doctor when they get sick, it can be a matter of “need” over convenience. But before we get into that, let's take a look at the difference between Telehealth and Telemedicine. Is there a difference? I read several articles on the difference, and to be honest, I don't think that there really is a difference between the two. But regardless of what you call it, the technology that allows us to see a doctor right away, over either video or phone, is changing the healthcare industry. Another article I read indicated that there is a difference, but that it doesn't really matter for our purposes. Since the trade organization uses the two terms interchangably, for this article I'll do the same thing. And I'll also be talking about the telehealth services that you can purchase on a stand-along basis, or you might be able to get it as part of your health plan. And we're talking about services performed by a doctor, not a nurse. Why would YOU want to use TeleMedicine and Medicare? Although I'm not personally on Medicare, I do work with Medicare beneficiaries. I'd like to relay some personal experiences that I have with Telehealth and then we can connect the dots for Medicare. A few months ago I got a card from my insurance company that allows me to call or video a doctor 24 hours a day, 7 days a week. It came at a great time because at that at the time I'd been having leg cramps. I'm on a low carbohydrate diet and so my regular stand-by of eating a banana simply wasn't an option. So I took a look at the card that arrived and said “What the heck”. It was an easy sign up process. I could have gotten an appointment right away, but figured, it wasn't an “emergency” so I scheduled it for a more convenient time, which was 10am on the following Monday. So far it was a great experience. I didn't have to call anyone and wait on hold to schedule my appointment, I just did it. And I didn't have to get in my car, drive 30 minutes, and then sit in the waiting room to be called. I was able to continue my life and see a doctor on my schedule. Granted it wasn't my regular doctor. I love my regular doctor. She is awesome! I had just seen her two weeks prior. But I forgot to mention the leg cramps. If I had wanted to see her regarding this I would have had to wait for an appointment, and then when I was finally able to see her, there would have been an additional copay. But for this visit, I didn't even have to open my checkbook for this. But some plans do have a copy so be sure and understand how your plan works. It was a very easy experience, and I was able to see a doctor. A friend of mine posted on Facebook the other day that her child had pinkeye (I think she caught it too). Instead of going to the doctor (and possibly infecting everyone in the waiting room) she just had a video call with her teledoctor. For her, the copay was $5. She was able to get the medicine she needed and never had to leave her home. Use a mobile phone or other device to upload food logs, medications, dosing and blood sugar levels for review by a nurse who responds electronically. Watch a video on carbohydrate counting and download an app for it to your phone. Use an app to estimate, based on your diet and exercise level, how much insulin you need. Use an online patient portal to see your test results, schedule appointments, request prescription refills or email your doctor. Get a mobile retinal photoscreening at your doctor's office rather than scheduling an appointment with a specialist. I think you'll start to see more Medicare Plans offer this service in the future. Of course the doctors have to be qualified and licensed in your state in order to participate. Why would a doctor want to participate? Well, it could be simply that he or she likes working from home. Or perhaps getting those student loans paid off is a big goal and the doctor wants to earn a little more money. It could even be that the doctor is going into retirement or semi retirement and wants to keep active. Whatever the reason, it can be convenient for both the doctor and the patient to be able to schedule a voice or video call and complete the appointment at home. Some plans include some form of Telemedicine. You may be familiar with a “Nurse Line”. Check your plan to see if the nurses who staff the nurse line can prescribe medicine. If not, then see if your plan also includes a Teledoc. If your plan doesn't currently offer the TeleMedicine services you want, (such as being able to prescribe common medications) then you can purchase it on your own as a stand-alone plan. I work with a company that charges about $15 per month for an individual and $20 per month for a family. Why would you want to pay for Telemedicine if you already have Medicare? There are definitely pros and cons to paying for a separate plan. If the cost is too much for you to handle, and you don't mind waiting to see a doctor when you have the flu or common ailments, then by all means, skip the extra cost and use that money to have a nice lunch once a month. For me, it's strictly a matter of convenience. But then I have some clients who pay thousands of dollars a year just for access to a concierge doctor (those fees are not covered by Medicare by the way) so that they can see their own concierge doctor at a moments notice. 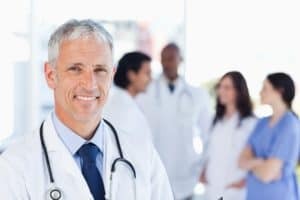 Teledocs are not concierge services, but they can be more convenient than going to the Urgent care for some medicine that you need or waiting to see your primary care doctor for a common ailment. How is TeleDoc services different from the Nurse Lines that most insurance companies offer? Nurse lines are technically telemedicine as well. However, nurses on these Nurse Lines typically don't prescribe medicine. They'll talk with you to see if they can assist but if not you'll usually be referred to a doctor. That means you will might have to make a trip to the doctor's office when you or your family member aren't feeling well. But check with your plan to see what is offered, because both Physician's Assistants and Nurse Practitioners can prescribe some types of Medicine as well. With a teledoctor, you'll be able to get a prescription if its one of the most common illnesses, so the fact that you won't have to leave your home (especially if you're nauseous for example) can be a huge selling point. And at $20 per month, it's a very affordable cost for most people. 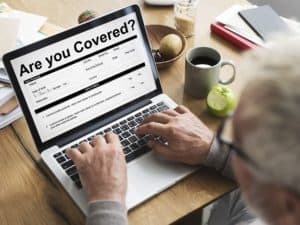 Is adding a Telemedicine Plan to your existing Medicare Plan worth it? Only you can be the judge of that. But now you can make a decision, because at least now you know you can get it, regardless of whether your current company offers it. Contact us or go to http://MedicareQuick.com/Teledoc to learn more*. *Please note that if you use the link above to enroll, it will not cost you any extra money, but I will get paid as an affiliate. Thank you for your support!